According to this article, there are new shoes out to help you make the most of your springtime walks and summertime strolls. Some of them are quite fancy but also expensive. Dr. Vimal Reddy has these tips for figuring out what is best as you explore scenic Jacksonville on foot! Tip 1: Spend some money: Cheap shoes will wear out quickly. You want something that will last you throughout the season. Tip 2: But don’t spend too much money: Beyond a certain price, high-end shoes are more about fashion than about protecting your feet. 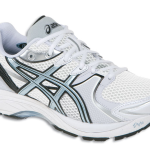 Also to keep in mind, this is a shoe you will be replacing after 300-600 miles of walking, or 6-10 months. Take a look at the different models offered by each brand and you might decide the fancy shoe is too much for you! 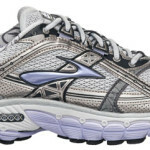 Tip 3: You can walk in running shoes: If you are more of a runner, your money will be better spent on a pair of running shoes. No need to dedicate a pair of shoes just for your walks. 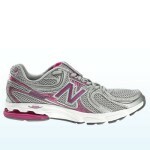 However, if you are training intensely, it might pay off to have a pair of backup shoes for your ordinary activities. In that case, see tip #2. Tip 4: Choose a shoe that fits: Yes, you knew this already, but it bears repeating. Dr. Reddy has written previously on this topic here. You should make sure you have extra room for the tips of your toes (about half an inch). Make sure the point where the sole of the shoe flexes lines up with the ball of your foot. To help find the best shoe for you stop by the First Coast Foot and Ankle Clinic. Dr. Reddy can help recommend what to look for in a shoe that will accommodate your unique foot structure. And remember, every foot is different, so there is no such thing as the “best” shoe.